Acknowledgements; Part I: 1. Introduction; 2. Questions and answers; 3. Discussions and decisions; 4. Stories and scenes; Solutions; Part II: Worksheets; Alphabetical table of activities; Index to language and level; Appendix; Bibliography. 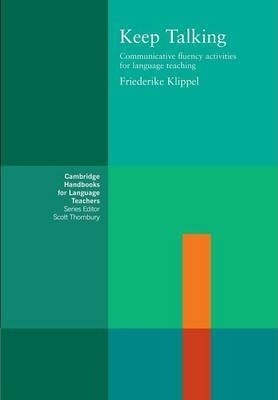 This is a practical guide to communication activities in the language classroom, suitable for use with students from elementary to advanced level.